Note: Move your downloaded data to folder /Android/obb/me.dreamsky.monsterlegend. 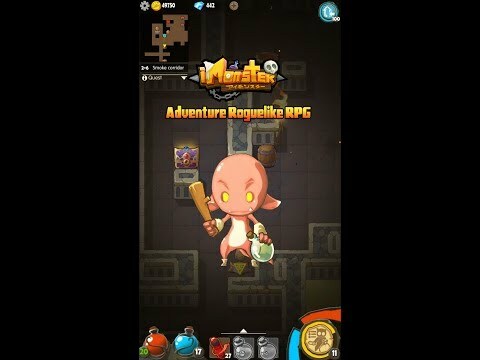 I Monster is a vertical Roguelike RPG. You can play as a little monster to start an exciting adventure. Fight against evil human. Save monster friends from the prison of human. Collect powerful relics and learn strong magic. One day you will become the best monster and reveal the scheme of the evil man. 1. Roguelike Game--Random maps in all adventures. Have new experience every times. 2. Various Character Figures--Create the monster you like. Show your personality. 3. Plenty Equipment--Collect gears, inlay gems. Let yourself reach the highest power. 4. Special Skill System--Double-helix skill tree allows you select skills you like. 5. Deliberate Boss--Mysterious and powerful boss is waiting for your challenge.